Since forming in 2011, the Dayton Area Board of REALTORS® YPN in Dayton, Ohio, has continued to renew and reinvent its structure over the years, an effort that helped the group bring home the 2018 Network of the Year Award in the medium association category during the REALTORS® Conference & Expo YPN event in Boston. 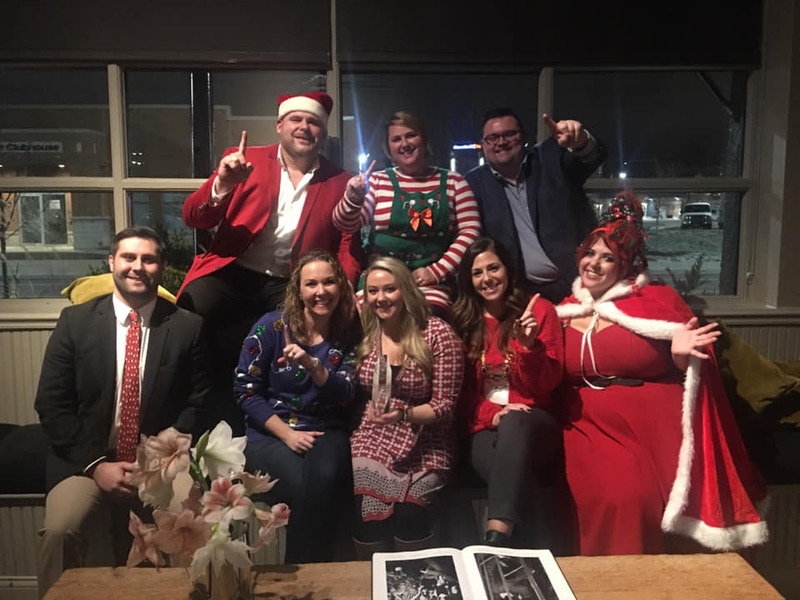 Dayton REALTORS® YPN Council members celebrate their Medium Network of the Year Award win. Andrew Sims, chief executive officer of Dayton REALTORS®, leads the organization with more than 3,000 members and is a long-time YPN advocate who has served on the NAR YPN Advisory Board. “These new members have brought new ideas, new focuses and also increased the coverage and exposure to YPN events and classes,” says Sims. When Sims started his role at the association in 2016, he gave a designated budget to YPN that the members could grow themselves. The long-term plan, he says, was for the group to eventually not have to rely on a board line item “and instead gain enough momentum and audience where they could recruit their own funding.” As of 2018, they successfully carried out the plan, raising more than $10,000 of their own money for events (not including one-off sponsors). The group has identified four pillars to build their YPN: community, REALTOR® advocacy, networking, and education. 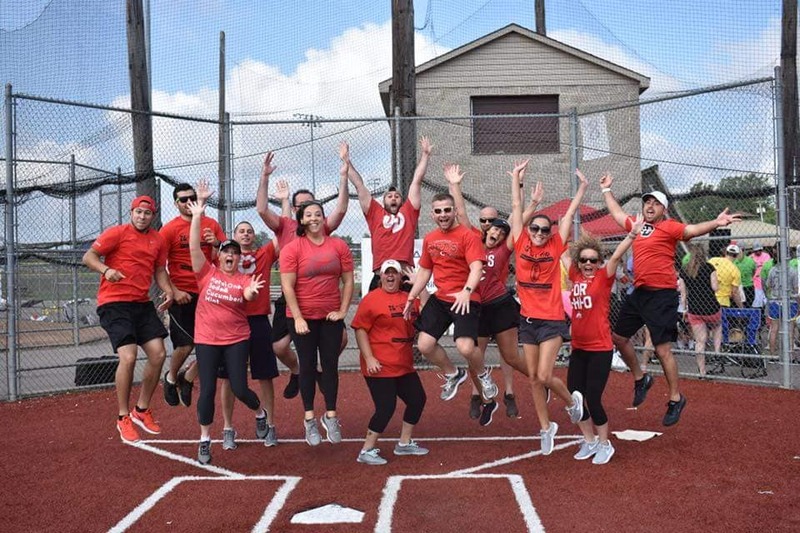 “One of the biggest reasons we are successful is the support we receive from other committees at our association, our affiliates, board of directors, the Dayton REALTOR® community, and our staff at the association,” says Dayton REALTORS® 2019 YPN Chair Heather Haase. YPN RPAC 10 for 10. The council, which was led by Stephanie Barr last year, became extremely active in the community “by adopting a holistic approach to their philanthropic efforts,” Sims wrote in their application. First, they participated in Rebuild Together Dayton (a connection made by their community services committee), assisting homeowners who are limited physically or economically in caring for their homes. Then, throughout the year they orchestrated and promoted various events that honored the regions heroes, such as police, fire and, first responders through providing breakfasts at the association building and at area police departments. When it came to activism, the council took it upon themselves to actively call and reach out to fellow REALTORS® during the NAR call for action on the National Flood Insurance Program renewal as well as the Ohio REALTORS® call for action on home inspector licensure. Last year the group also added three “YPN 10 for 10” RPAC pledges. 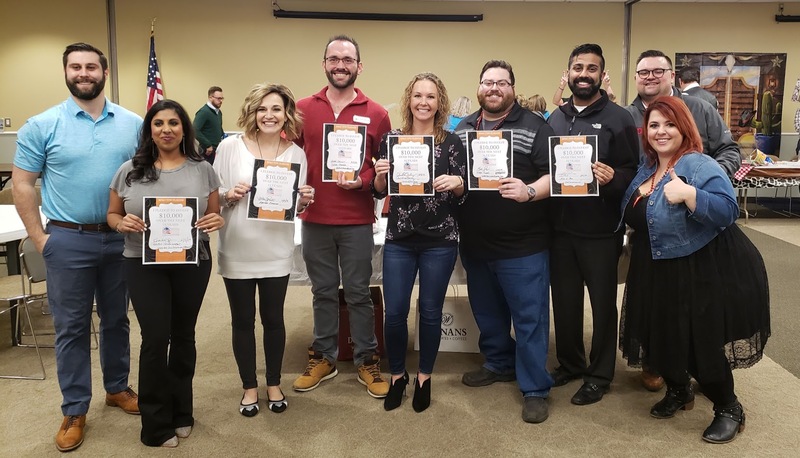 Dayton YPN hosted a plethora of events last year, from an RPAC Chili Cook Off (co-hosted with their affiliates committee) and a Brew-Ha-Ha brewery tour to lunch and learn and their annual school supply drive. “We try to make our events fun with a purpose and people really enjoy coming to our events, and those people who enjoy our events spread the word even further,” says Haase. The annual event that draws the biggest turnout of all ages is their “March Madness Mixer.” It’s a day-long event of food and networking while enjoying the first round of March Madness projected on four giant screens. Last year’s event included a raffle for prizes that raised $700 for Brigid’s Path, a local organization focused on providing inpatient medical care for drug-exposed newborns and support services for mothers and families. 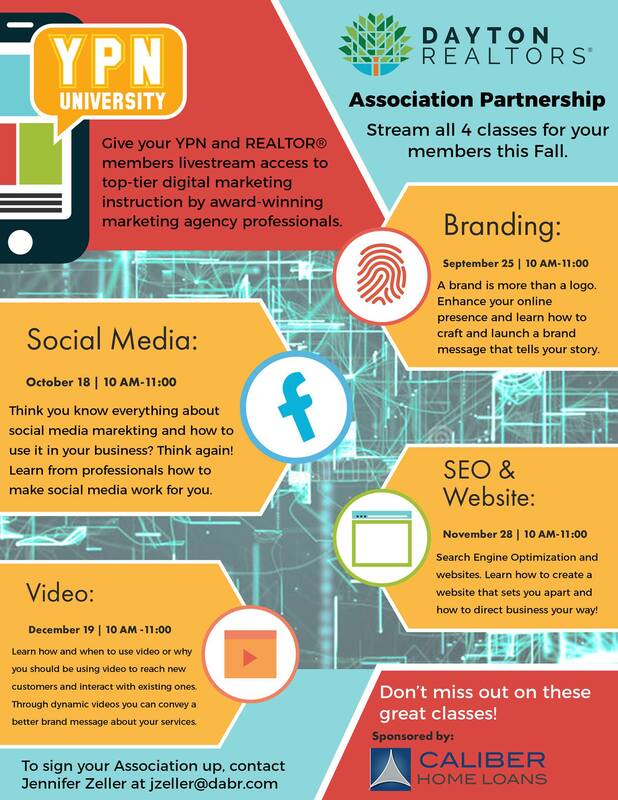 At the end of 2018, the council launched YPN University (fully funded by an affiliate partner), which focuses on bringing members of all ages together in business-building education classes that cover topics such as email marketing, geofarming, social media and search engine marketing, and video production. The program—brainchild of a partnership with their professional development committee—is available to associations and brokerages across the country through live-streaming. Those who attend all classes in a given year earn the a “Certified Technology Professional” designation from the Dayton REALTORS®. Haase and Sims have several tips for other YPN groups who are either just starting out or reinventing themselves. Develop a mission statement. This will serve as the foundation of your group, which you build upon, Haase says. “You have to have a structure that creates continuity and consistency,” says Sims. Each member of Dayton REALTORS® YPN council serves two terms. Then, with the concept of “replace yourself,” they actively find a person who will continue the good work they’ve been doing, taking their place on the council. Set expectations for incoming council members, Haase says. Find strength in numbers, Sims says. Seek out other groups to partner on events with, like Women Council of REALTORS®, affiliate members, and association committees. They type of partnerships have made their events more successful. Erica Christoffer is a contributing editor for REALTOR® Magazine and manager of the YPN Lounge. Connect with her at echristoffer@realtors.org.